This is a great work by one of the pioneers of modern archaeology. The period covered is from 1700 to 700 B.C. and is mainly concerned with the author’s field work in western Britain. It deals with burial ritual – dances, processions, "houses of the dead", the objects deposited, the building of the barrow; and it shows by line drawings and photographs how scientific excavation nowadays is planned and executed. The book gathers together an immense amount of research completed over a long span of years on burials and the ceremonial which attended them. Originally published in 1959. Reissuing works originally published between 1930 and 1996, this set presents a rich selection of renowned and lesser-known scholarship across the subject. Classic previously out-of-print works are brought back into print here in this set of research, guidance and surveys. 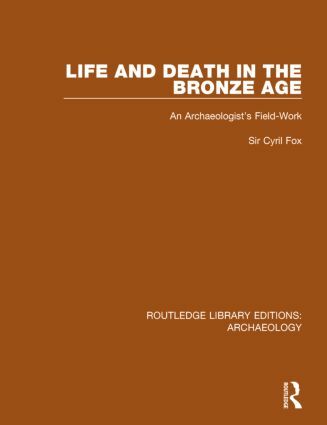 It includes works of theory and of practical research, ranging over a wide range of themes from archaeology and place-names to industrial archaeology to the rock art of Africa.